Like other Algonkian events, this workshop retreat begins before you arrive with pre-event assignments and readings, and continues after you depart with a post-event novel development program online. It also includes a broad range of faculty, an array of vital workshops, as well as extended personal time with business professionals. 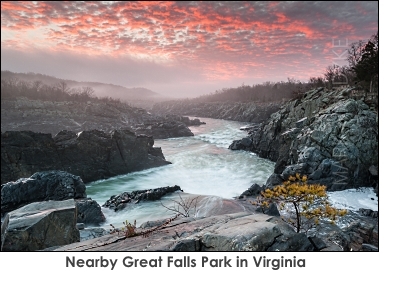 The event takes place at Algonkian Park in Virginia--a beautiful and rather enormous expanse of land beside the Potomac River, yet only minutes from quality restaurants and shopping. The local scenery, wildlife and deer families, the walks along the river and hiking trails, all combine to provide you with an environment conducive to productive writing and soul searching. This place is where Algonkian Writer Conferences began, and it's our favorite place to be. In keeping with the spirit of this place and the goals of this unique workshop retreat, you can be as goal-oriented or as hesitant in approach as you wish. You can show us your manuscript, improve your skills, have your work read by our writer mentors, attend our workshops, pitch a literary agent or two, whatever works for you, whatever helps you grow and discover your vision as a writer. You discuss with us ahead of time via the Algonkian Writer Retreat Application the goals you wish to accomplish, and we'll work with you to make it happen. Do you desire a review of your short stories or flash fiction? A line edit? Do you wish to discuss the reality of the current fiction market, your novel project, plot and characters, or perhaps get feedback on the opening hook or a few sample chapters? Or would you simply like a relaxed and productive dialogue about your goals as a writer? This workshop retreat is for writers at all stages. If we're working on story development, premise, appropriate narrative skills, and scene creation, for example, then the sooner you master these, the better for your novel, and for you as a writer. Why spend an extra two or three years on a development arc that won't work? Or a premise that won't sell? Why not proactively solve these critical elements, and in a way that will lead to actual commercial success? All writers engaged in the creation of a novel are entitled to a pre-event phone consult with a member of the faculty. Faculty will review major elements of the writer's novel then arrange a time to discuss what works, what doesn't work so well, and what needs to be done going forward. This is a non-mandatory consult. Let us know if you think it will be beneficial. For those novel and fiction writers who wish to take advantage of our comprehensive pre-event assignments, readings and exercises, just let us know and we'll forward these to you with guidelines for use. If you have limited time and need the assignments to be prioritized, let us know and we'll do that for you. We highly recommend this pre-event work because it enables us to speak a common language while guiding you step by step into the real world of commercial publishing, market-based storytelling, and competitive craft technique. Writers who faithfully work on the pre-event assignments, and who arrive a day early for extra prep, are actually looking at a workshop retreat that lasts upwards of nine days (if productive labor time counts!). However, our schedule notes here will focus on the official pre-event evening and the following five days--each beginning at 9 AM and concluding between 3:30 PM and 5 PM-ish. On Tuesday evening, June 11, all writers will meet for dinner, and afterwards, an orientation session will cover details and expectations for the next several days. On the first morning of the workshop retreat, Wednesday, writers attend a workshop with Michael Neff and Chris Stewart wherein their stories and projects are exhaustively discussed and reviewed with an aim towards making them commercially publishable. Writers are given homework assignments focusing on aspects of their writing, character and plot development. On day number two, the writers return to the workshop in the morning to review and discuss the assignments as they pertain to their work-in-progress (novel or short fiction). In the afternoon, writers pitch their work for further review and critique. Honing of novels and fiction will continue into day three. On days three and four, writers juggle retreat time, as appropriate and necessary with individual consults and workshops on creative writing and publishing led by accomplished professionals such as Kathryn Johnson (characters that sell novels), Alan Orloff (story concepts that sell), Michael Neff (market-positioning and competitive execution), Christine Stewart (theme and plot lines), and Richard Washer (application of dramatic technique). Literary agent Emily Williamson also appears to discuss the business and react to novel pitches. On day five, writers will meet one-on-one with workshop leaders to recap and arrive at a mutually agreeable publication plan, i.e., a detailed approach regarding what the writer must do following the event to remain on a realistic path to publication, and with realizable goals. On this final day, Sunday, the workshop retreat will wrap up by 1:30 PM. As follow-up to the event, writers can opt to join an eight or sixteen-part (either option) online novel development program that will pick up where the workshop retreat left off. This is included in the registration fee. At the conclusion of the online program, the writer will once again receive fresh editorial review, and as appropriate, help with the query letter process. If you have reviewed our mission and location, and found it suitable for your retreat purposes, please fill out our Algonkian Writer Retreat application and tell us about yourself, your writing life, and what you wish to accomplish at the retreat. The retreat takes place for five days, June 12 - 16, 2019, with arrival on Tuesday the 11th (see optional sixth day below). Registration for the retreat is $1095.00, and the registration link found below. This fee covers event tuition, all one-on-one meetings and workshops, any talks and all pre-event study materials, lodging for five nights (a private cottage room), an Algonkian continental breakfast and catered lunch each day, as well as any other writer activities associated with the retreat. NOTE: attendees who commute to Algonkian Park from the local Virginia area receive a discount of $400.00. You will not need to rent a vehicle if you are staying at the Park. If you arrive via Dulles Airport, you can take a cab to Algonkian Park for around $30. Uber, of course, is cheaper, and if you take the train out to the Wiehle Avenue stop in Reston, you can cab or uber to the park for $20 to $30. We recommend arriving the Tuesday afternoon before the retreat starts for purposes of orientation and a group dinner. Transportation will be provided for procuring lunch items from local stores or eating establishments as needed, and also for social dinners in the evening with other writers at the retreat. The local area around Algonkian Park is crowded with stores and restaurants of all kinds within easy driving distance. 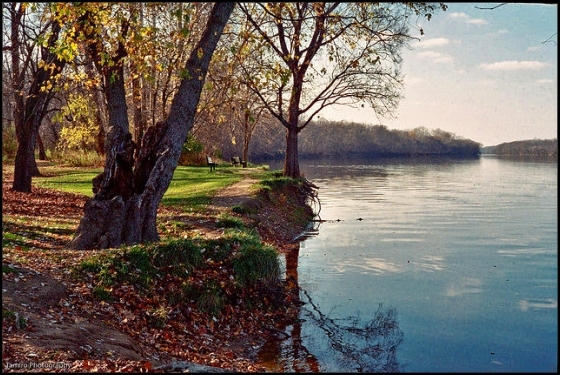 All retreat writers will be staying in cottages located in Algonkian Park and situated on the Potomac River. See the info and link to the right regarding the lodging. Each writer will have their own room. Cottages come with a kitchen, fireplace, deck, and a large living room and dining area. They have TV and WiFi, as well as ample heat if needed. Writers are invited to arrive a day early on Monday if they wish, and this includes an extra night at the Algonkian Park cottages reserved for the retreat. If you want to take advantage of this, please let us know in advance. If you haven't already, and are so inclined, please check out reviews of our Algonkian events, including our workshops on the main Algonkian page dedicated to this purpose. It appears we've been doing something right for 17 years! REFUND POLICY: Full refund up to 15 days before retreat event. In the case of very late cancellations, credit will be given towards future retreats or events. REFUND POLICY: Full refund up to 15 days before retreat event. In the case of late cancellations, credit will be given towards future retreats or events. If you do not find your questions answered on this page regarding the retreat, please feel free to call us or write us. Kathryn Johnson's 40+ popular novels (nominated for the Agatha Award, winner of the Heart of Excellence and Bookseller's Best Awards), include Victorian thrillers (writing as Mary Hart Perry) and a suspense series, Affairs of State. She is an inspiring speaker at national writer conferences and the founder of Write by You, a professional mentoring service for fiction writers who seek support in reaching their publication goals. Her most recent book, The Extreme Novelist, is based on her popular writing course. Emily Williamson her stellar career as an editor in 2011 with Chrysalis Editorial in Washington, DC. In 2016 she founded Williamson Literary. She is looking for future best sellers in all genres except romance. 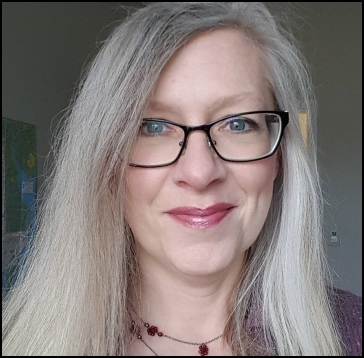 She favors clear and fast-paced plotlines, authoritative writing, solid knowledge of the formula for "a page turner," and solid author platform. In the context of literary fiction she is searching for stellar, beautiful writing, unusual and unforgettable characters, and unique settings. Emily holds an MA from John Hopkins University. Her literary agent website can be found here. Michael Neff, Algonkian founder and director, is also an agent, film scout, journal editor, and published writer. He is the author of the literary political novel about the Reagan years in Washington, All The Dark We Will Not see, as well as creator and co-editor of Magician's Impossible from Macmillan Books. His short fiction has appeared in many classic literary journals including North American Review, The Literary Review, Pittsburgh Quarterly, Quarterly West, and Conjunctions. Michael has published over 200 popular and up-and-coming writers in the popular literary journal Del Sol Review since 1997, and he is the founder and publisher of a traditional literary press, Del Sol Press, publisher and contributor to the original Writer's Edge blog, as well as agent and developmental editor for AEI Films and Books in LA. 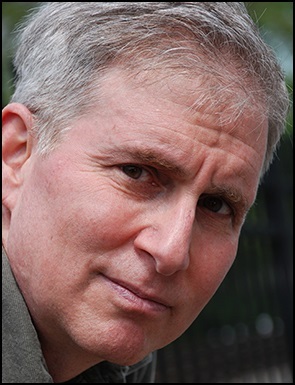 Alan Orloff is the author of Diamonds for the Dead (2010), an Agatha Award finalist for Best First Novel. His seventh novel, Running From The Past, was an Amazon Kindle Scout winner. His short fiction has appeared in Jewish Noir, Alfred Hitchcock Mystery Magazine, Storm Warning, and Windward: Best New England Crime Stories 2016. More about Alan can be found at: www.alanorloff.com. Christine Stewart holds an M.A. in Creative Writing from Hollins and an M.F.A. from the University of Maryland. 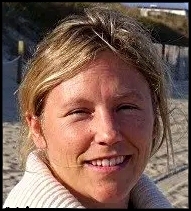 A former artist-in-residence with the Creative Alliance, she is a recipient of an Individual Artist Award in fiction from the Maryland State Arts Council. Her work has appeared in Ploughshares, Five Points, Smartish Pace, and The Cortland Review. She has taught at the Baltimore Museum of Art, the Carver Center for Arts and Technology, and currently teaches writing in the Johns Hopkins Odyssey program. Her current novel was first runner up in fiction for the 2012 Maureen Egen Writers Exchange Award, and she is the editor chief of the distinguished and controversial Del Sol Press. Richard Washer is a playwright, educator and director. He is a founding member of Charter Theatre, a professional theatre company dedicated to the development and production of new plays, where he served as dramaturge, director and playwright. He currently serves as Associate Artistic Director at First Draft at The Rose Theatre in Virginia. He is the author of fourteen produced plays at venues that include Source Theatre, New Works Theatre, Charter Theatre, The Earl Hamner Junior Theatre and others. He has directed productions of musicals, classics, new plays, and dozens of new play readings at these and other venues. Richard teaches creative writing and playwriting workshops at numerous institutions including First Draft and The Writer's Center. He holds a MFA in Creative Writing from The American University. WILDLIFE: the trails and the scenic river way are a great place to see birds and explore nature. A quiet paddle down the river in the early morning will yield views of Great Blue Herons, king fishers, eagles, and all sorts of song birds. Walking through the trails that parallel the river, you can find lovely wildflowers, stands of Pawpaw trees ... More details here. HIKING: The hike follows the River Trail north into Riverbend Park, then bends west with the river. In places, the trail uses private lands on which property owners allow public access to provide a continuous route for hikers, and the best way to show your appreciation is to stay on the trail. In Loudoun County the trail passes through a golf course on an easement managed by the Regional Park Authority, then enters Algonkian Regional Park ... More details here. 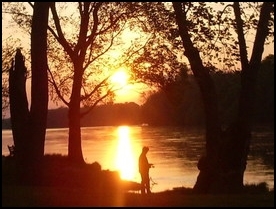 ACCOMMODATIONS: On the banks of the Potomac River in Algonkian Regional Park sit twelve cottages. They offer all the amenities of home with fully furnished rooms, private kitchens, private parking, scenic decks, and a great view of the Potomac River ... ( btw, we reserve the cottages on your behalf) More details here. Search Website - Type and hit enter.